Good morning everyone! 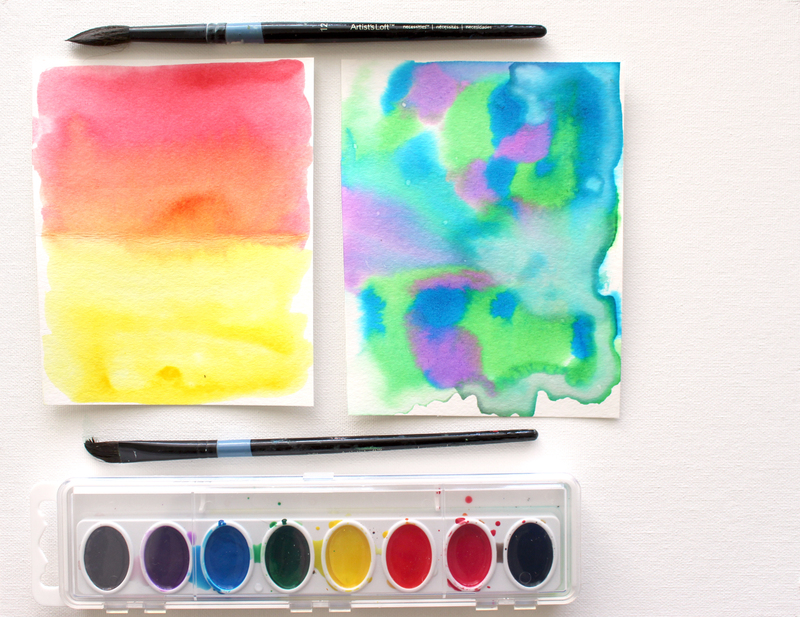 Last week, I was busy recording my first youtube video Watercolor Blends for Kids for a new series on art lessons for kids. These videos are designed for all kids toddlers to high school and can be done in a mommy and me format at home with very few supplies. I encourage you to check it out for a new weekly morning activity or afternoon activity after school. I used to teach art lessons out of my backyard during Summer time and all of the kids really enjoyed them a lot. I try to make them open-ended and good for all ages and abilities. Lessons that don’t have high, rigorous expectations for children allow them to gain self confidence in their art abilities and express themselves in a positive way. This is the goal with each of my art lessons! In this first video Watercolor Blends for Kids, we will discover two fun techniques for blending colors together that kids can try on their own or along with me during the lesson. All that you’ll need is watercolor paper, water, brushes, a basic watercolor set and a paper towel just in case of spills. This week I also hope to release my supplies video where I recommend some of my favorite supplies for watercolors. After checking out the video, let me know if you have any feedback or video suggestions, I would be happy to incorporate your ideas into my future lessons. Don’t forget to subscribe to my youtube channel to get a new free art lesson every week!